Although high-res audio has been around for a while now, the public really knows very little about it. Until recently, talk of high-res audio has been relegated mostly to audiophile mags and enthusiast forums. But with the recent success of Neil Young’s Pono projector on Kickstarter, Sony’s declaration of war against the MP3, and a surprising move toward high-end audio by Samsung, the topic has been making headlines and generating interest … and a lot of questions. So we decided to answer them. Here is everything you need to get up to speed on high-res audio, in plain English, so that you can really wrap your head around what may be be the next big development in consumer audio. What does the term “high-res audio” mean? The consumer electronics industry and news media only recently embraced the term “high-res audio.” Before now, it was often called HD audio (which we would argue makes a lot more sense). But, now that the Consumer Electronics Association (CEA) has gotten involved, standards are being formed and it looks like “high-resolution audio” is the way we’re going to go. While high-res audio is really a very broad term that could apply to any kind of high-quality sound, it has become popular to use it to refer specifically to high-quality digital music files. For many, “high-res” means anything better than CD quality, but there are some measurements and formats we get into a little bit later that help us identify some of the most common kinds of high-res audio. Before we dig into where this is all going, it helps to review where we’ve been. Think for a moment about the evolution of video quality over the past couple decades. First we got the DVD, which was a vast improvement on VHS tapes in terms of picture quality. Then HD came out, and we took another step forward. Then, just when people were starting to get used to Blu-ray discs and 1080p, along came Ultra HD/4K to remind us that we’re always evolving (don’t even get us started on 8K). Sound quality has actually trended down, taking a back seat to convenience. The sound quality of our music hasn’t followed such a clear-cut path forward. Rather, sound quality has actually trended down, taking a back seat to convenience. We started out with vinyl LPs, which some argue still sound better than any digital music available (in spite of their potential noise problems). Then we took a bit of a step back in quality when we migrated to 8-track and, eventually, cassette tapes, though with a marked step forward in convenience and portability. Then came the CD, which was monumentally convenient and a very resilient medium, but some argued it lacked the organic, natural sound of analog formats. Then, in the late 1990s, sound quality took its biggest hit ever as the world fell in love with the convenience of the MP3, a digital music file that took up very little storage space, allowing hundreds – even thousands – of songs to live on a tiny, easy to carry device. Unfortunately, the way an MP3 works requires the removal of a lot of vital sound information. The result is a loss of bass, raspy treble, and less dynamics (swings in volume). Still, a whole generation who never knew any better grew up with this format, embraced it, and helped redefine music distribution. Today, few buy CDs, preferring the convenience of a download instead. How do you measure music quality? Digital music sound quality is commonly expressed by using two values: bit depth and sampling rate. The science behind capturing analog sound and transforming it into a bunch of ones and zeros is pretty complicated stuff, but this watered down explanation covers the basics. Since numbers are easy to track (higher is usually better, right?) let’s first look at the CD. CD-quality is 16-bit/44.1kHz. As you can imagine, high-resolution audio files sport higher numbers, both in the bit-depth field and the sampling rate (kHz) field. Sampling rate: Here’s how we explained sampling rate in our explanation of the Pono player: Sampling rate is the number of times a sample (a sonic picture, if you will) is taken of an audio signal per second. The more times you sample an audio signal, the more detail you end up with. Sampling an audio signal is like shooting a video of a fast-moving object. The higher the frame rate (sampling rate) the more depth and detail you can capture and the smoother the end product is going to be. Say you’re shooting a video of a cheetah running across the savannah. At 24 frames per second, you will still be able to tell it’s a cheetah, but the details are lost in a blur. At 1000 frames per second, though, you might be able to see all of the cheetah’s whiskers, count its spots and notice its tail is slightly kinked toward the end. Again, it’s all about heightened detail. Bit depth: Bit depth refers to the number of bits of information taken in each sample. The biggest affect it has on sound is to the potential dynamic range – that’s the difference between how soft and how loud music can potentially sound. Practically speaking, higher bit depth means that there will be a higher bitrate – or, more bits per second – involved in the digital music file. This means bigger files and the need for more storage space to hold music. Add them together, and you get this: Combined, a higher sampling rate with a higher bit-depth should result in more detail, subtlety, and nuance in music and an expanded frequency range (deeper bass, higher treble). In theory, all this translates into music that sounds more realistic, deep, and rich. How many different kinds of high-res music files are there? The list of different quality levels is extensive, and there are different formats to go with all of those differing levels of quality, but it’s a good bet the baseline standard for high-res audio will wind up being 24-bit/96kHz. Here’s a list of the different formats and quality levels. Resolution levels: 24-bit/88.2kHz, 24-bit-/96kHz, 24-bit/176.4kHz and 24-bit/192kHz. Formats: AIFF, ALAC, FLAC, WAV, and DSD. If all those letters and numbers have you worried about a format war or incompatibility problems, rest easy. The people behind the push to high-res audio haven’t shown any interest in going with some kind of proprietary format. In fact, Sony, the king of proprietary formats, has sworn the idea off entirely. Still, it would be nice if we could just adopt a single standard, wouldn’t it? Do I need special equipment to listen to high-res audio? Yes. First, the device you use to play back high-res music has to have a digital-to-analog converter (DAC) that is capable of processing high-res audio files. These days, most computers have DACs that are capable, as are most Blu-ray players. Phones are a little different. The Samsung Galaxy S5 and Note 3 are two examples of phones that do support high-res audio. The iPhone is an example of a phone that will not (this could change with the introduction of the iPhone 6). But, just because the device you use can play back high-res audio files, that doesn’t mean that they are going to end up sounding substantially better. The quality of a DAC, amplifier, and headphones or speakers plays a role in how much better high-res audio can sound. 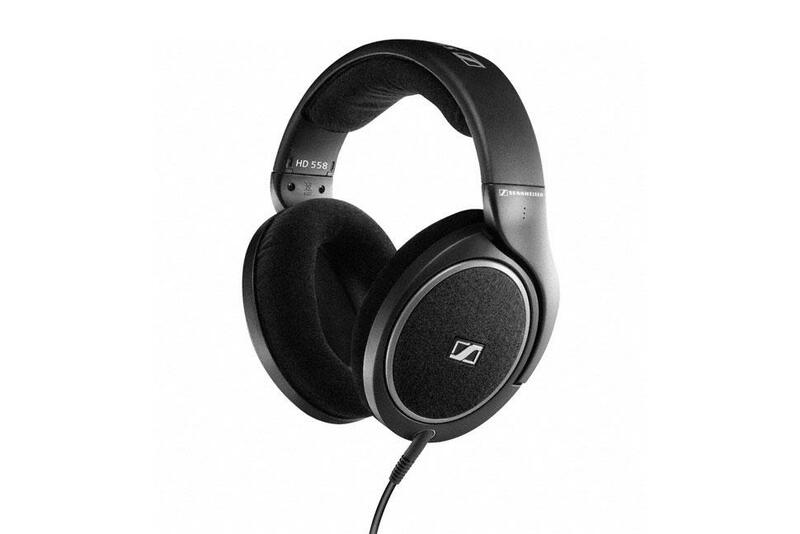 For example, while most computers do have DACs that can process high-res audio files, not all of them do a good job of it; even when they do, the headphone output may be poor, yielding unimpressive results. 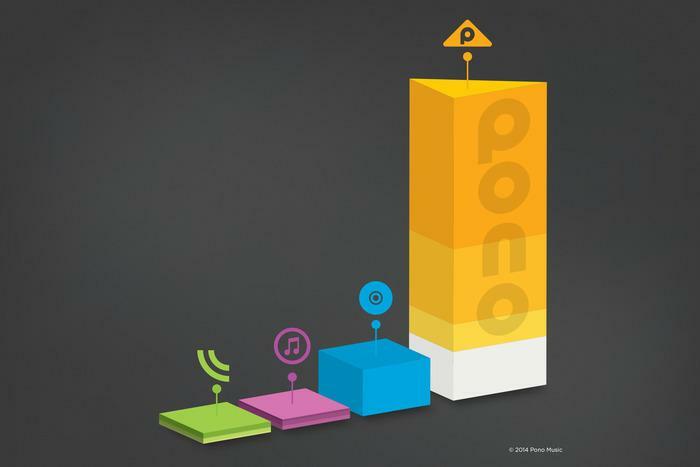 That’s why the Pono player shows promise. It, like other premium portable music players, have really great electronics inside that can make any audio file sound better, but especially high-res audio files. The same goes for the headphones or speakers in use. Earphones that come with an iPhone aren’t good enough for low-res audio if you ask us, much less high-res. You really need a decent pair of headphones or in-ear headphones to appreciate the more subtle nuances afforded by high-res music. None of this means you have to spend a fortune to get into high-res audio. For instance you can purchase a $100 USB DAC that will transform the sound quality you get from your computer, even with modestly-priced headphones, like the Sennheiser 558. But the added expense does beg the question: Do people care enough to want to make the upgrade? Is high-res audio ahead of its time? We would argue that the time is finally right for high-res audio to bump the MP3 off its perch and take over as the standard for quality in digital music. In the past, storage space was hard to come by, and expensive. Now, it’s cheap and plentiful. Also, high-res digital music maintains all of the conveniences we’ve grown to expect; it doesn’t run the risk of falling victim to the pitfalls of earlier, disc-based high-res audio efforts like the Super Audio CD (SACD) and DVD-Audio, neither of which achieve mainstream success. With that said, there are some barriers that will need to be overcome. What stands in the way of high-res audio adoption? If you were thinking Apple’s cooperation is the key to rapid mainstream high-res music adoption, you might be right. If iTunes were to start supporting high-res music downloads, and iOS devices were able to play back those files, there’s a good chance high-res audio would take off in a hurry. But, if Apple doesn’t jump on board right away, that’s not necessarily a death sentence, either. The world is moving toward streaming music anyway, and Apple is lagging behind in that market. It could be that if Apple refuses to join the high-res audio club, it could find itself in the rear view mirror of the rest of the industry. The Samsung Galaxy S5 and Note 3 both support high-res audio. Speaking of streaming: Bandwidth is another barrier to consider. High-res audio takes up more space, which means bigger downloads and higher streaming bitrates. That means consumers’ data caps could be tested very quickly. Until data caps increase, high-res audio could be a prohibitive proposition. To illustrate: The first song off Steely Dan’s album Gaucho in 320 kbps MP3 format takes up roughly 5.3MB of space. The 24-bit/96kHz FLAC version of the same song, “Babylon Sisters,” takes up 124MB. But does high-res audio really sound better? Answering this question requires a clarification question: Better than what? If we’re talking about the difference between a low bitrate MP3 and a high-resolution audio file, the difference to most listeners is pretty pronounced (though a little less obvious with high bitrate MP3 … say, 320kbps or higher). However, whether or not a 24-bit/88.2kHz FLAC file sounds any better to the average listener than a lossless rip of a CD is a subject of hot debate. But that debate doesn’t matter for most listeners, because most folks would be transitioning from lossy MP3 and iTunes files, to files that sound at least as good as a CD, if not better. Instead, folks should be talking about whether the iPod generation has equipment that’s good enough to expose the difference in quality.